A huge part of creating a successful marketing campaign is managing to be unique. Depending on the building that you operate out of, multistory venues with elevators can offer an excellent opportunity to fulfill that goal. 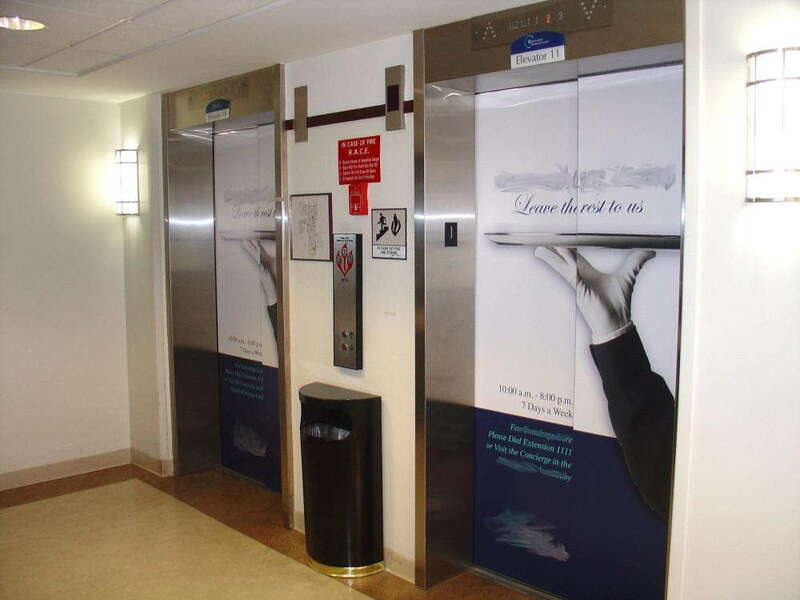 SpeedPro Imaging Elmsford possesses the skills, experience, tools and resources to create vivid, powerful elevator door graphics that leave lasting impressions on clients and employees alike. 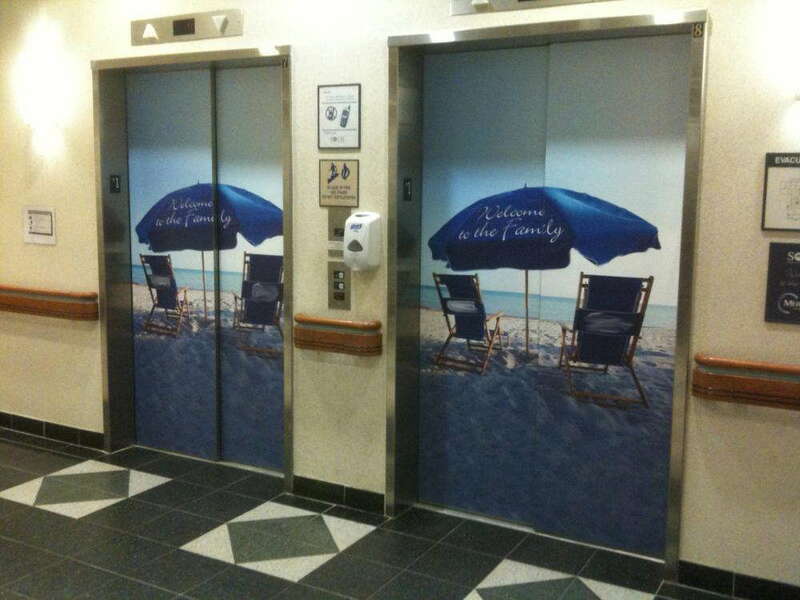 How Can We Help With Your Elevator Door Wraps and Skins? Not only do custom elevator door skins emanate a sense of vibrancy, but they also maximize your available space. While the space might not be huge, elevators more than make up for it due to how frequently people use them to get around on an everyday basis. Since people just bide their time waiting for their ride, why not take the opportunity to display vital information about your brand? You could outfit these wraps with phone numbers, URLs, social media account information and much more. Our visual communication experts have extensive experience in this industry, and we’re well-versed in designing, surveying, printing and installing. That makes us a one-stop studio for everything related to large-format graphics. On top of it all, we don’t refuse any request. We’re partnered with one of the nation’s biggest large-format graphics producers, which means you’ll receive products that feature vivid colors and durable construction. Long-life inks and hardy laminates combine to preserve your wrap’s appearance, regardless of how long you plan to display it. Speaking of which, we can adapt your wraps to fit short- or long-term scenarios. If you operate out of a hotel or hospital, wraps can withstand the everyday wear and tear over the long-term without noticeable damage. We also offer wraps for events, so we can easily outfit your rented venues with graphics. Our surveying team will take detailed measurements and notes about the characteristics of your elevators so that we can create as close a fit as possible. 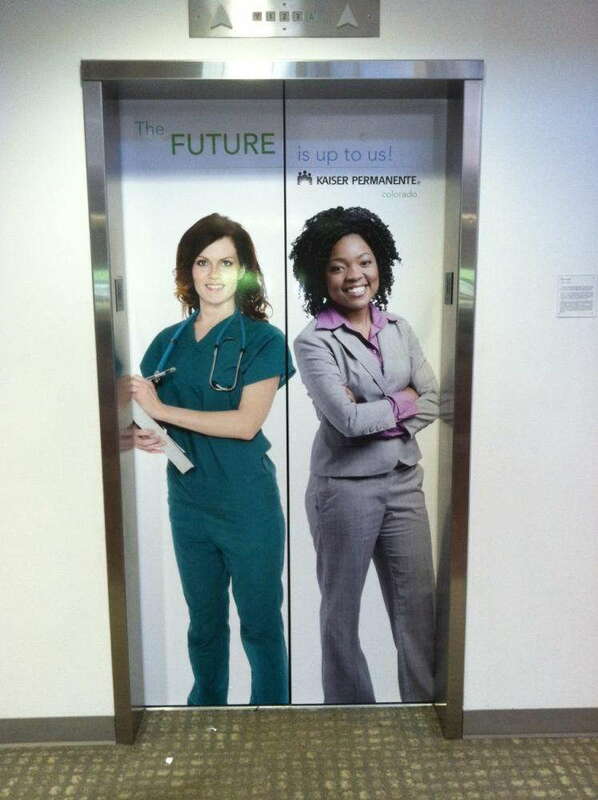 With our expert color-matching practices, your custom elevator graphics will match flawlessly with the rest of the environment, creating a cohesive branded space that can intrigue and inspire both old and new customers, clients and team members. 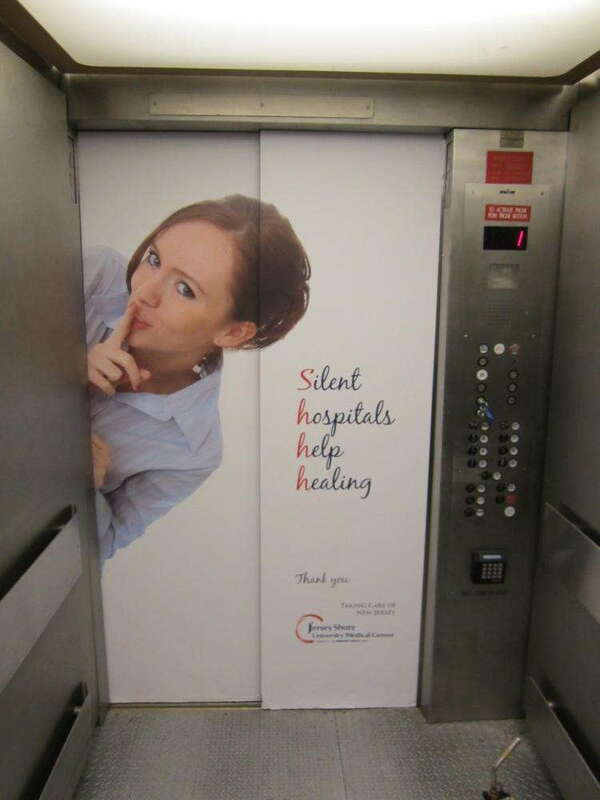 Raise your business’ brand to another level with elevator door wraps. Call us to arrange your consultation today, and we’ll work with you to find the perfect solutions. We also invite you to drop by our studio, which you can visit on East Main Street in Elmsford. Once you make your selections, our staff will work ceaselessly to get your new elevator wraps installed as quickly as possible so that you can start growing your business right away.